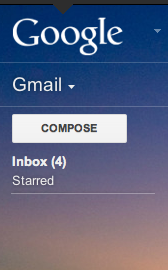 I find it annoying to have to hover over a quite small area, in this case the "Starred" text, to be able to see & click on my labels and stuff like Sent Mail, Drafts, and All Mail. Hover over the line under Starred. Upon hover, three little dots will appear (see screenshot below). Click on it/them and then drag downwards. This solution will not work if you have the Display mode set to Touch Enabled, which may be the case if you have a touch screen display or a hybrid/convertible machine. Change it to one of the other settings and sanity will be restored. Try this... 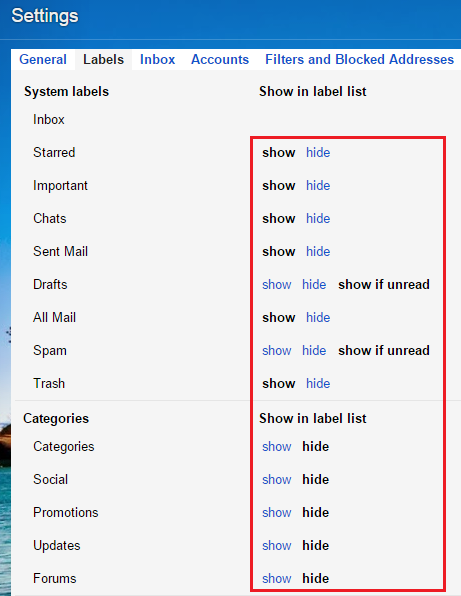 Select "show" or "hide" See what will happen..
How do I get the sidebar in Gmail to expand like old times? 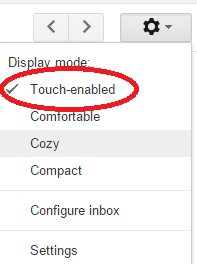 How Can I Prevent Gmail from Opening a New Tab when I Switch Accounts? Can I prevent Chat/Hangouts window from loading in Gmail?